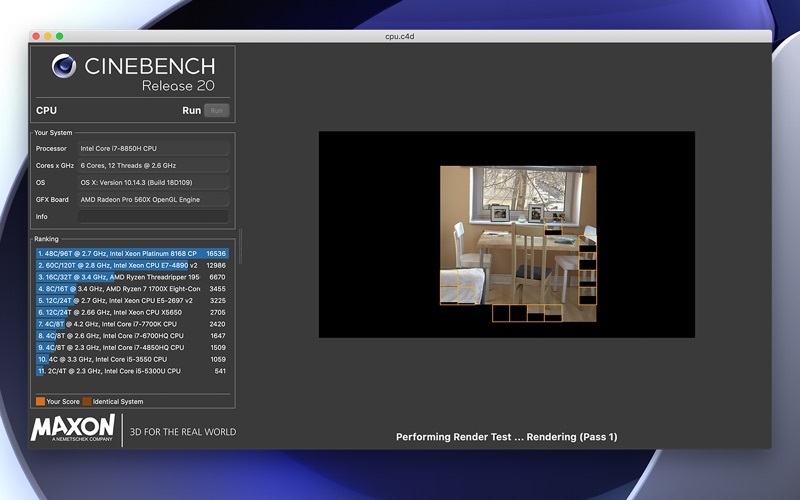 • Cinebench R20 uses a much larger and more complex test scene than R15 requiring about 8x the computational power needed to render it. The test also requires about 4x the memory. Therefore R15 and R20 results cannot be compared. 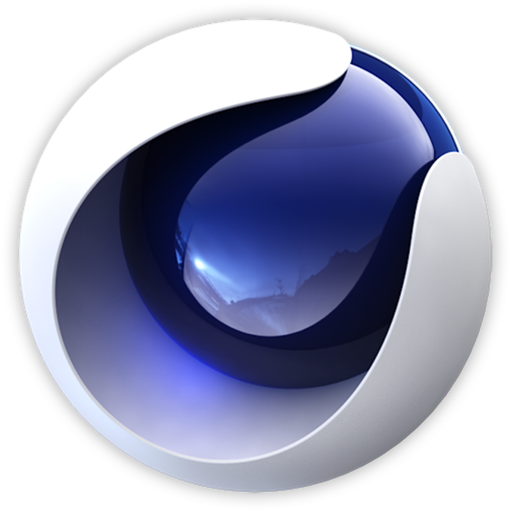 • Cinebench R20 and Cinema 4D R20 incorporate the latest rendering architectures, including integration of Intel’s Embree raytracing technology and advanced features on modern CPUs from AMD and Intel that allow users to render the same scene on the same hardware twice as fast as previously. • Cinebench R20 provides improved benchmark accuracy for current and next generation CPUs to test if a machine runs stable on a high CPU load, if the cooling solution of a desktop or notebook is sufficient for longer running tasks to deliver the full potential of the CPU, and if a machine is able to handle demanding real-life 3D tasks. • Cinebench R20 does not test GPU performance. • Cinebench R20 will not launch on unsupported processors. On systems lacking sufficient RAM to load the test scene, a warning will be displayed and the CPU benchmark will not be executed. • Background tasks can significantly influence measurement and create diverse results. It's always a good idea to shut down all running programs and disable any virus checking or disk indexing, but it's impossible to eliminate all background processes. Modern operating systems perform various background tasks that cannot or should not be disabled, even though they could have a minor influence on the results. • Test results can vary slightly because it's impossible to disable every background task of the operating system. These tasks are one factor that may have a slight influence on measurements. Also, modern computers and graphics cards dynamically adjust clock speeds based on environmental conditions like power and temperature. For instance, processors will reduce clock speed when running too hot to allow for cooling and prevent damage. With many modern processors the reverse is also true. They are able to overclock themselves when the temperature is low enough. So, a system freshly started in a relatively cool environment will typically run faster than the same system that has been performing benchmarks for several hours in a heated office.